...designed to increase content on the site. 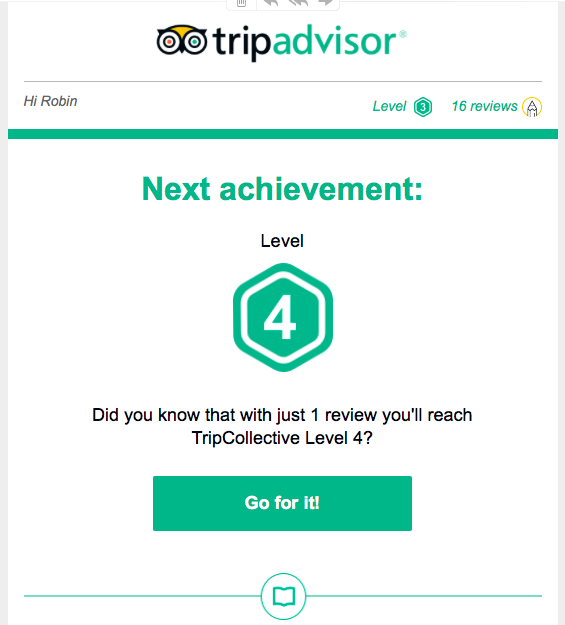 The problem TripAdvisor - and all the reviews sites - now have is that the person this email is addressed to, and many tens of millions of others now post all their reviews, of whatever product or service, in one place. And that one place? Google. What do businesses - and especially the hospitality industry - need to do? They need to recognise that they need to look good - first and foremost - on Google.